Asian Art Museum is located in the main campus of the University Of Malaya, the oldest institution of higher learning in Malaysia. 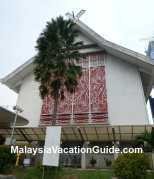 The aim of this museum is to promote Asian art among the peoples of Malaysia. Currently there are approximately 6,000 artifacts and treasures from many Asian countries spanning 4,000 years of Asian history. They are housed in this spacious and well kept 3 floors building. 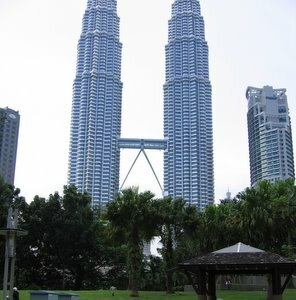 The centre has been built over a time period of almost 50 years starting at the university's campus in Singapore before the establishment of University of Malaya campus in Kuala Lumpur. 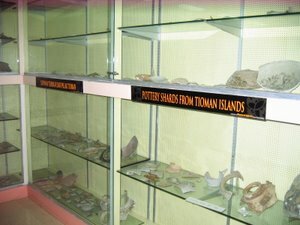 A section of the pottery shards taken from Tioman Island and Straits of Malacca on display. New artifacts were acquired from various sources since then. 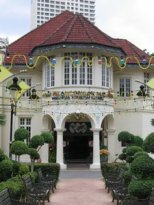 The collection at the museum contains many rare and unique objects from among others the Chinese, Indians, Malays and the Islamic civilizations. Students and researchers will find this museum informative as there are other good materials in the form of art films, slides and pictures that they can get hold of. Malaysiana exhibits the collection from the Malay civilizations that include craft works such as wood carving, brass, silver and textiles. These artifacts were used in the daily lives of the Malays be it as household items, wedding customs or as weapons.Of particular interest is the Tepak Sirih container where guests will be offered the Betel-leaves or daun sirih in the Malay language. It indicates the value placed upon the respect for others. Besides the sirih leaves, other items that are offered include betel nut, tobacco and gambir. 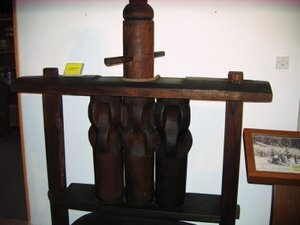 Until today, tepak sirih is still used in ceremonies such as weddings, meetings or after the completion of the reading of the Quran. The Martaban jars are another interesting artifacts to see. 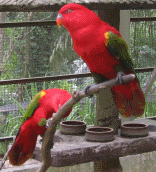 Taken from the deep interior of Sabah and Sarawak in East Malaysia, they are believed to have originated from China. The huge stoneware jars are brown in colour with moulded decoration on the surface of the jars. Chinese civilizations has always have associated with the making of ceramics and porcelain products. Spanning a history of 3,000 years, you will be able to see the Tz'u Chou Ware where the economy of China flourish during the time of the first Sung emperor, T'ai-tsu (AD. 960-975). He re-unify the whole of China after a century of disorder and chaos.The T'zu Chou ware is a type of Chinese stoneware made in Chihli, Hopei, Honan and Shansi provinces. The archaelogical findings show that it is decorated in bold designs with slips and enamels. Indian collection that are showcased here include stone sculpture, miniature paintings and wood carvings. The gigantic sugar cane extractor machine that was used in the state of Kedah to extract juices from sugar canes. ASEAN countries collection from Vietnam, Cambodia, Thailand, Myanmar and Indonesia artifacts exhibited here include potteries, ceramics, textiles, sculptures, jewelery and bones. Of particular interest is the Khmer pottery from the era of 9th-14th century. The Asian Art Museum is located in University of Malaya main campus and can be reached by taking the Kelana Jaya Line LRT and stopping at Universiti Station. Wait for the feeder bus to the university at this station or take a cab if you are rushing for time. 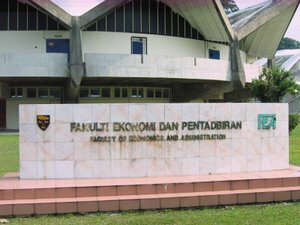 Look for Faculty of Economics and Administration and you will be here in no time. The Asian Art Museum is located just beside the Faculty of Economics and Administration. The museum is closed on Saturdays, Sundays and public holidays. Further information can be obtained by calling Tel: +6 03 7967 3805.